What your team achieves matters most. Tocaro supports your team, focusing on the your team's actual business achievements. Real-time communication on Tocaro will accelerate your team’s swift and effective sync-up and decision-making, anywhere and anytime. You can share any type of data on Tocaro among your team as easily, securely and flexibly as possible, and organize them automatically. 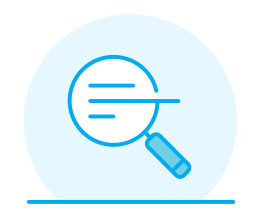 Since what you need has to be on your hand when needed, Tocaro’s powerful cross-search and admin dashboard helps you find it easily. Getting your team’s work done always requires regular communications among its members. 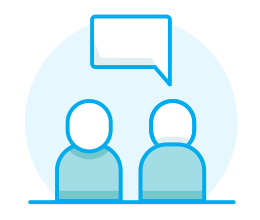 You can enjoy intuitive and flexible communication for any situations on Tocaro, including one-to-one messaging or internal and external group discussions. 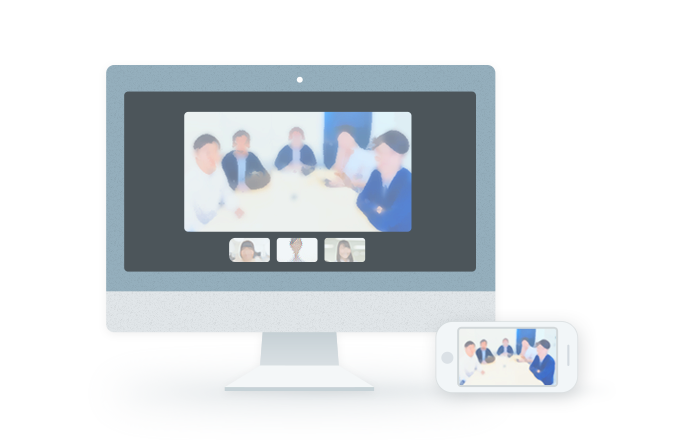 Video conferencing with high resolution and synchronous connection drives your team sync up face-to-face across boarders. Additionally, you can make presentations more easily with screen sharing and check conference logs later through its saved video files. You can manage who owns what tasks and which project gets done by when through basic To-Do management features, and you also can comprehend each To-Do’s context and background since it’s associated with your team’s conversations. Communication through trusted paths is significant for your smooth business operation, otherwise leading to measurable opportunity loss. 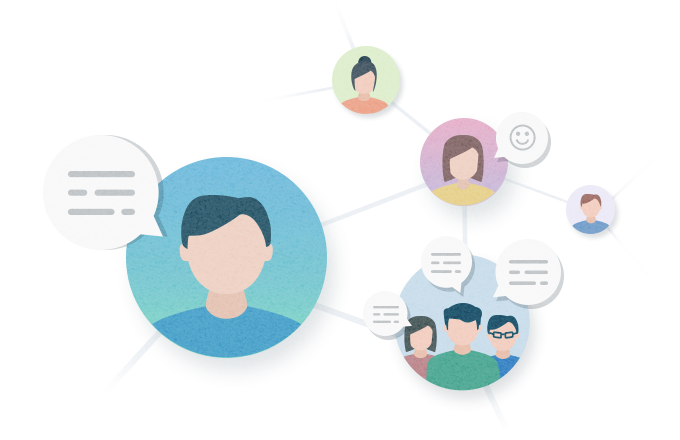 Tocaro will organize contacts and visualize the relationships or networks like “who knows what” or ”who knows who”. 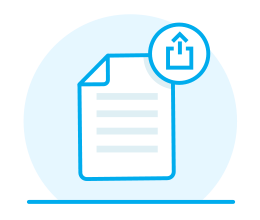 You can upload any files securely and preview them inline without having to jump from Tocaro, which helps your intuitive information sharing among your team, by exchanging any business presentations, contracts or documents, or photos or videos taken by your smartphones. 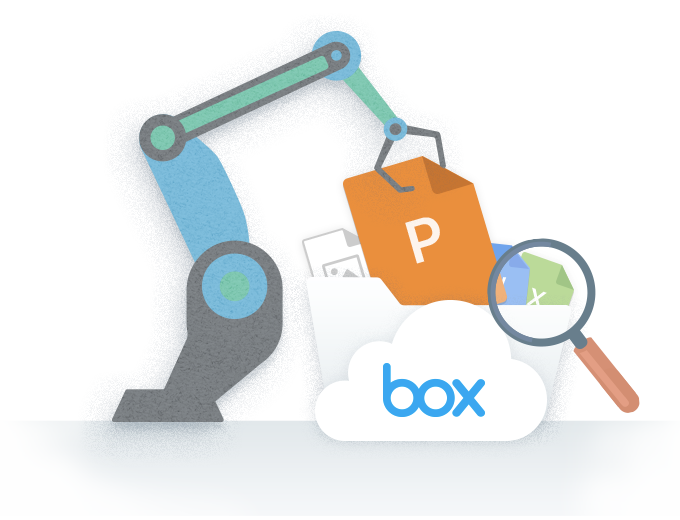 What’s uploaded and shared is automatically classified and organized based on uploaders, target groups, file types or customizable labels, so that you can overview an organized list of uploaded files or websites in parallel with messaging with your team members. Tocaro has its huge strength of “you can do anything, anytime later”, and Tocaro’s unique search engine enables you to find any type of data across any groups or any contexts in the moment, and share what’s found with other groups on the spot. 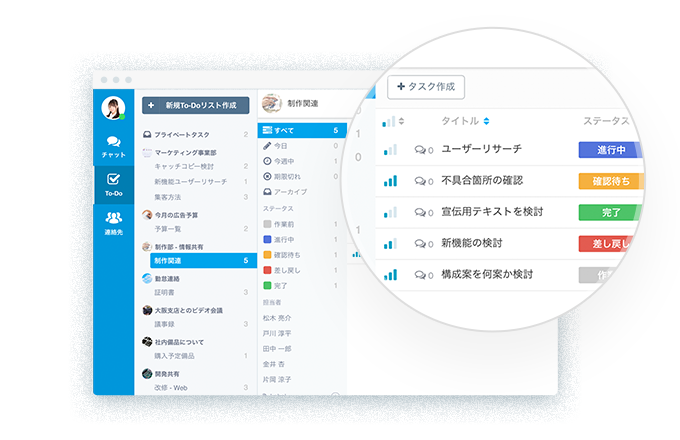 Control all the admin functionalities on one place, so that you can monitor access logs and track malicious activities, and make your team safeguarded through company-wide single sign-on (SSO) or IP address restriction. This is why you need Tocaro. Now. 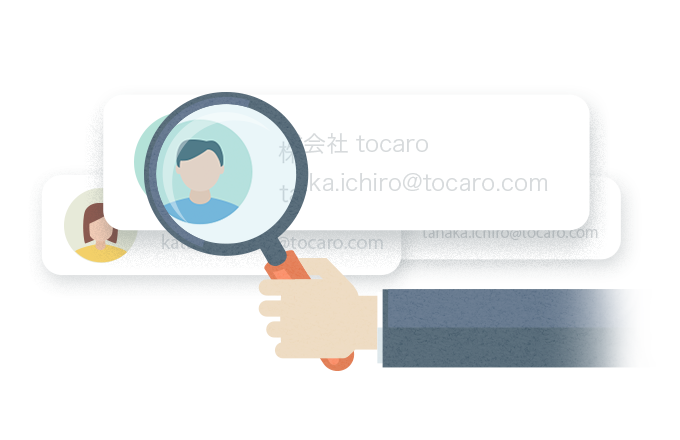 Real-time information sharing based on global-standard security is nothing special, and Tocaro concentrates on result-oriented team collaborations. Seamlessly integrating communication, contacts, To-Do's, Tocaro focuses on person-to-person collaborations and relationships so as to boost actual team productivity, to get your team’s work done, and hence to uplift the corporate value itself. Tocaro accumulates and organizes your team's collaboration as its knowledge assets and then accelerates every single member’s work in your team. 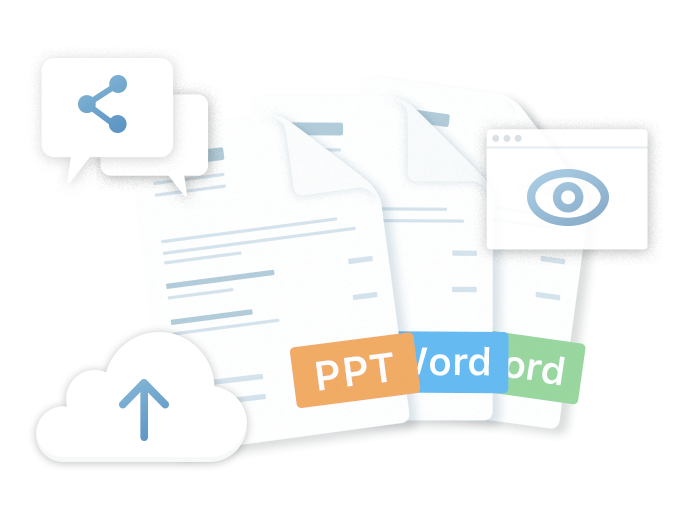 Tocaro helps you get anything done, anytime later, through having thrown messages or shared files automatically organized or providing universal searchability across borders, which are all indispensable in the age of information explosion. 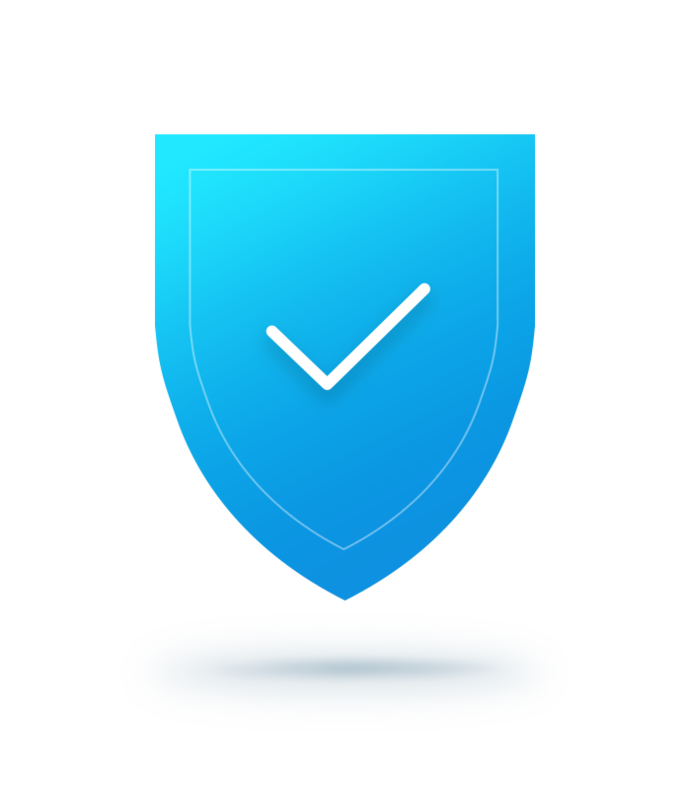 Tocaro’s advanced encryption algorithms and security configurations irreversibly encodes any data from cached data on mobile devices to logs stored in the database, and every single Tocaro’s customer is benefited from its global-standard security and protection. 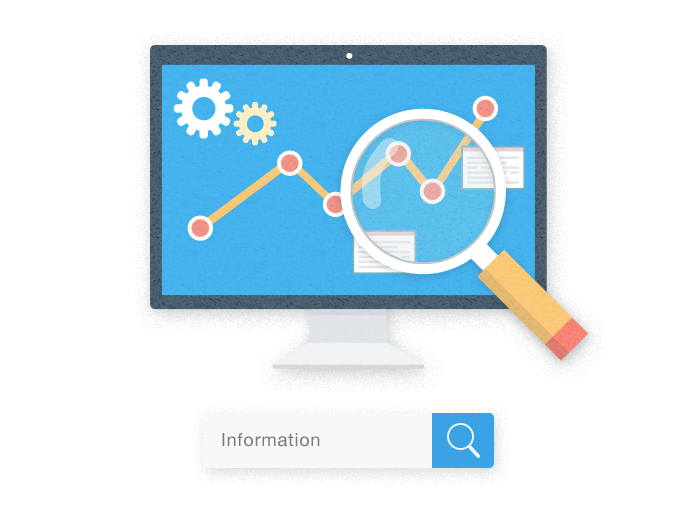 Additionally, Tocaro has 100% passed routine security auditing conducted by third-party enterprises and 24/7 responsive support system is always on, so that you don’t have to worry about anything. 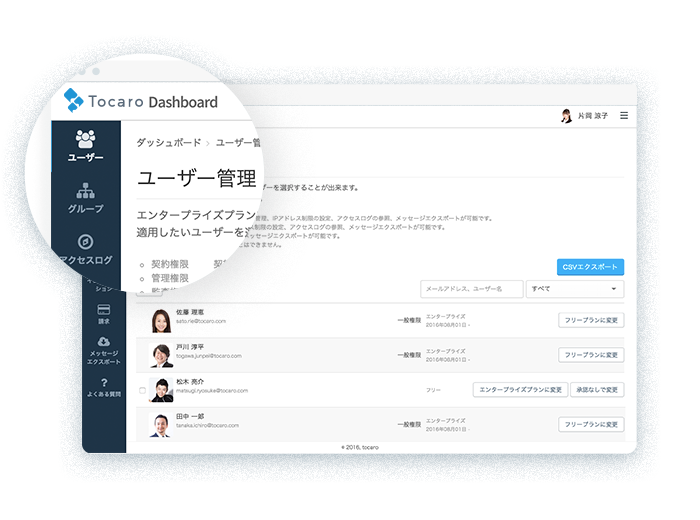 Tocaro’s administrative dashboard enables you to control the company-wide configurations, such as people management, access log control or corporate security settings. 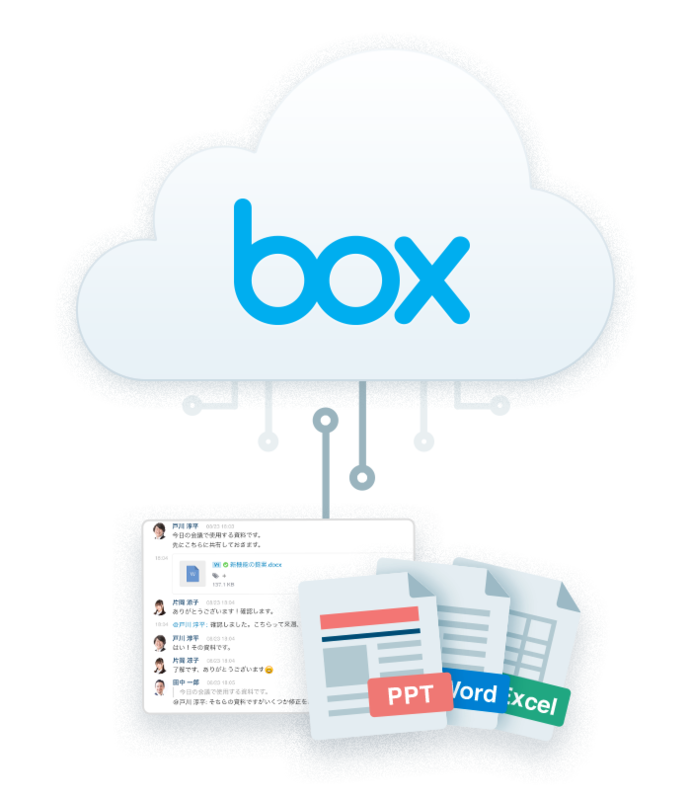 Also, if your company uses Box®, a secure file storage service backed by hundreds of thousands of corporations worldwide, you can save all the files shared on Tocaro into Box® accordingly without them left on the server. Contact us if you have questions about Tocaro’s Box integration.